The Doctor of Physical Therapy (DPT) program is a 36-month (including summers), entry-level professional program emphasizing the scientific basis of human structure and human movement, the spiritual basis of human worth, and the integration of these foundational elements into a comprehensive and problem-solving, evidence- and consensus-based approach to artful evaluation and skillful treatment. Graduates have a solid generalist perspective of patient care in a variety of professional treatment settings with a strong foundation for post-professional specialization and lifelong learning. A recent gift from Sacred Harvest Foundation will help fund the expansion of APU’s DPT program, including a new facility on West Campus. Learn more. 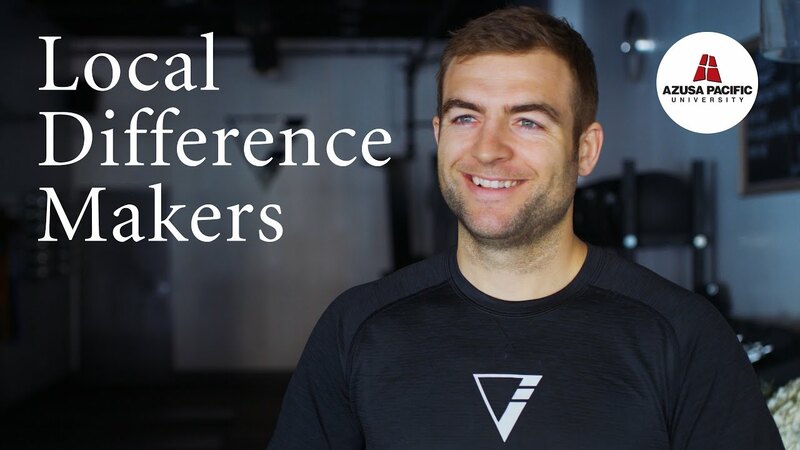 Matt Klingler, DPT ’16, established Village Fitness in Glendora, where he is applying his expertise as a movement science specialist to help people prevent injury and improve their fitness and function. Watch his story. The Doctor of Physical Therapy program prepares graduates to practice as competent generalist physical therapists who have a solid foundation for postprofessional specialization. These graduates are guided by Christian principles and ethical values. They are critical thinkers and lifelong learners, supporting the global community and the physical therapy profession by functioning as service-oriented practitioners. They promote excellence in patient care, are guided by a belief in human worth and dignity, and are dedicated to the optimization of human health and function. Earn a highly respected doctorate in 36 months (including summers). Gain a solid, generalist perspective in preparation for patient care. Prepare with some of the nation's leading experts in the field. Integrate a distinct Christian perspective into your clinical approach. Learn to care for patients holistically. Prepare for specializations in orthopedics, neurology, cardiopulmonology, clinical electrophysiology, pediatrics, geriatrics, and sports medicine. Join one of the fastest-growing sectors of health care. Enjoy autonomy as a primary health care provider. Learn more about why a DPT degree is the preferred degree for preparing individuals for careers in physical therapy. The WASC Senior College and University Commission (WSCUC), one of six regional organizations in the U.S., accredits Azusa Pacific University. In addition, the Doctor of Physical Therapy (DPT) program at Azusa Pacific University is accredited by the Commission on Accreditation in Physical Therapy Education (CAPTE), 1111 North Fairfax St., Alexandria, VA 22314; telephone: (703) 706-3245; email: accreditation@apta.org; website: http://www.capteonline.org. If you need to contact the program/institution directly, call (626) 815-5020 or email ymoreno@apu.edu.